The new scale model of the ZX140W-6 wheeled excavator. 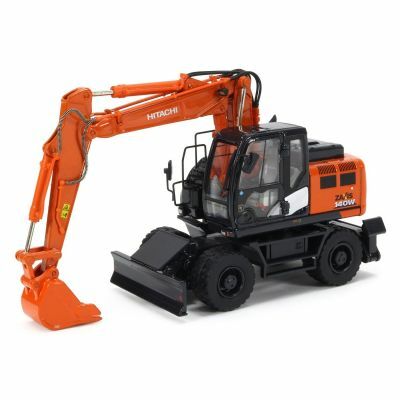 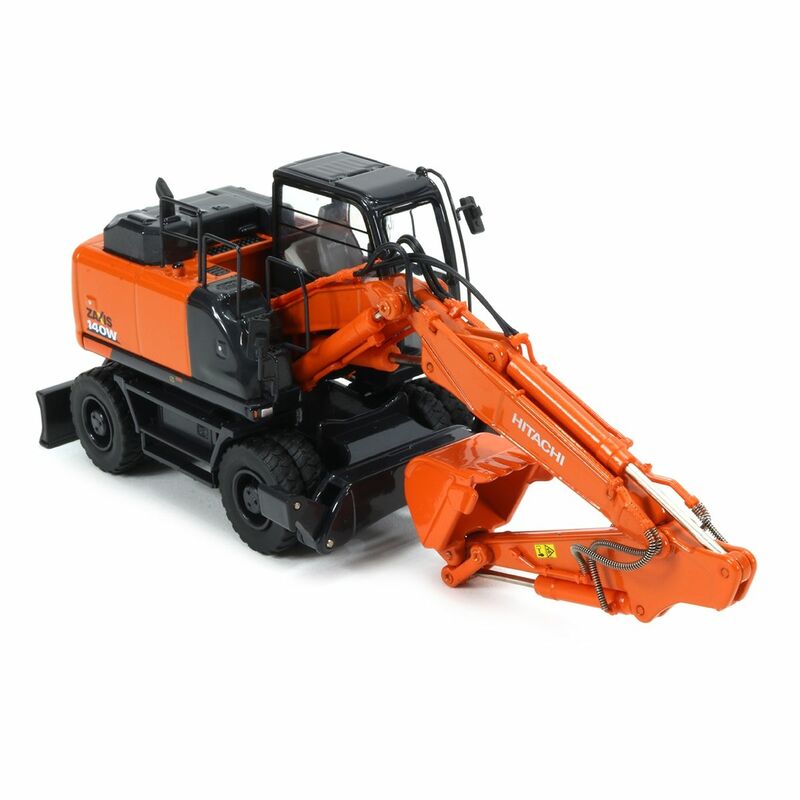 This great looking scale model in a scale of 1:50 has a host of features including the two piece boom design which is authentically modelled, complete with hydraulic lines, auxiliary circuit and toothed digging bucket. 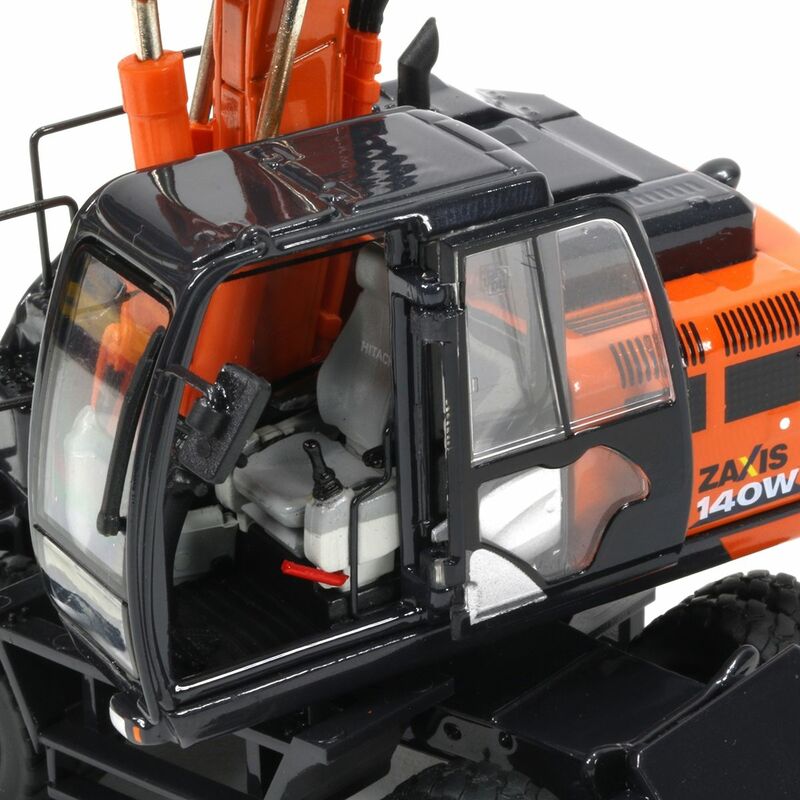 The engine cover can be lifted to reveal the inner engine detail, the cabin door opens fully to show the accurate modelled interior and the undercarriage stabilisers and blade function.